We carry out this service, both for our own designs, and additionally for buildings where we have not been involved in the design and/or planning application process. We can provide site visits in order to oversee and communicate with the builder on site, for our client’s peace of mind and regulatory requirements. 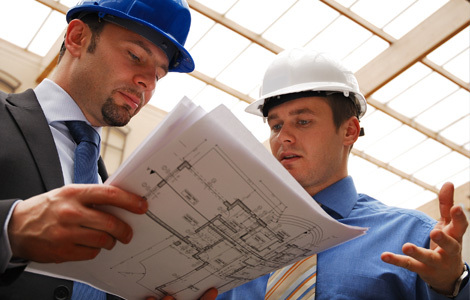 We carry out periodic inspections, on average every three to four weeks. This fulfils requirements of most lending institutions, and stage payment certificates for various banks and building societies are then presented to them for payment. Generally the first, and potentially the most important visit, is the foundations, and standard stages thereafter are; substructure, wall plate, roof completion, second fixing, and of course final completion. We also inspect the installed percolation area if it has been a condition of planning permission. We inform the client of any potential difficulties or delays in the building, and are always available for queries from the builder if necessary throughout the construction.